Check out how to play real money games with bonuses for up to $1,700! March is the perfect month to add something to your regular poker grind. Our sister site CasinoSmash launched a new, spectacular promotion that lets you play more than 6,000 games with up to $1,700 in free bonuses. All the action happens at KTO Casino, a Curaçao-licensed platform where you find a top-class sports book, a Slots site, and a great live Casino section for some live dealer action. 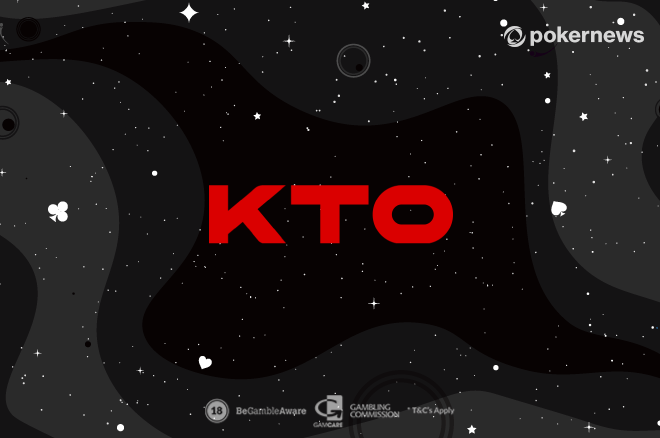 If you don't know much about this site and the games you can find there, have a look at the KTO Casino review we published on CasinoSmash.com. Then - make sure you come back to this page to activate the $1,700 offer. This special promotion is available to all the players from Canada. To activate it, you need a free KTO Casino account (available here) and one deposit. Keep in mind that the minimum deposit to access real money games at KTO is of CAD 10, so you won't have to break the bank to get started. While three deposits might seem a lot, keep in mind that you'll find there 6,000+ games from world-class developers like Pragmatic Play, Genesis, Wazdan, and Booming Games to name a few. What Games Can You Play With the Bonus? This is my favourite part: you can play all the games you want! Rather than to limit the bonus cash to some games, KTO decided to let you use it on all the games they offer - including live dealer and jackpot Slots! Like all Casino bonuses, this one comes with a predefined set to terms and requirements (e.g. only one welcome offer is available per household and per IP address), so make sure you read them before you play. This said - don't miss this opportunity to get $1,700 in bonuses to play Casino games online. ==> Sign up for a free account at KTO Casino and activate the offer!